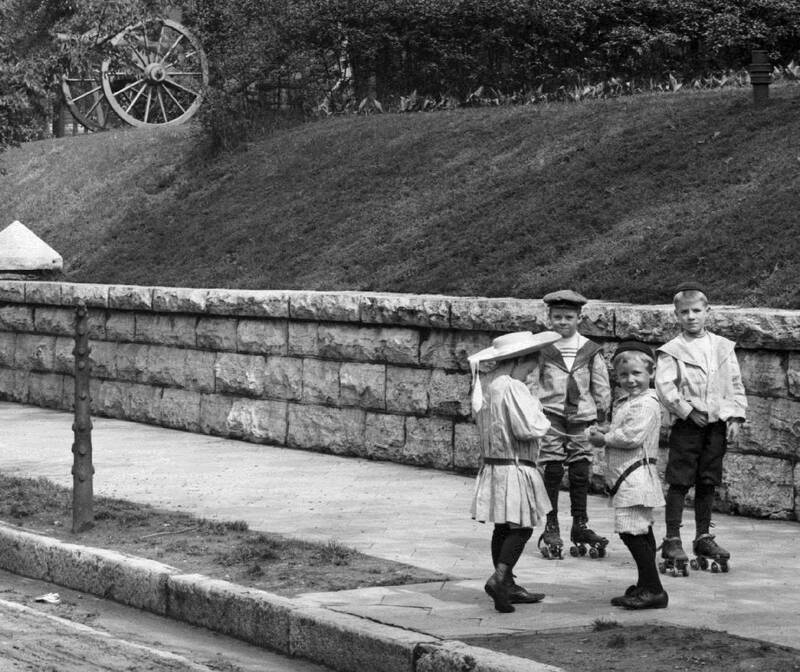 This vintage photo of children playing on Oak Street in 1907 is one of the images found on DeepZoom Chattanooga. Editor's note: the website was not functioning as of 3 p.m. on Thursday. When he was a student at Red Bank High School in the 1980s, Sam Hall, now 52, brought his 35 mm camera to campus to snap some pictures. He didn't just focus on friends hamming it up for the camera. He took pictures of hallways, lockers, the cafeteria. Intuition told him these everyday things were the images he would need to feed his mind's eye as years went by and his memories of high school began to fade. Today, his high school classmates think he's a genius for capturing the canvas behind their memories. Most people with a camera concentrate on faces, not context. In the process, they crop out history. No offense to today's "selfie" culture, but 100 years from now, nearly no one will want to see a close-up of the tip of your nose, Hall believes. Hall, a Chattanooga advertising agency professional, has taken his passion for historic photography and applied it to his hometown. His website, DeepZoomChattanooga.com, combines 19th and 20th century photographs with 21st century imaging software to created one of the most visually compelling visual histories of a city ever assembled. Think of it as Google Maps meets the Civil War. Through a quirk in technology, old, large-format photographic negatives actually contain more visual detail than all but today's most sophisticated digital cameras, Hall explains. Using software developed by Microsoft called DeepZoom, which later became freeware, you can view 100-year-old wide-angle cityscapes of Chattanooga and zoom deep to read the license plates on cars, for example. "I still get on and see things I've never seen before," Hall says. "It's not virtual reality, but it's about as close as you can get." - Panoramic photographs of the city taken by postcard photographers in 1902 and 1907 that show the city was a thriving metropolis more than a century ago. - Vintage photographs of the Union Army occupation of the city during the Civil War that will stun you with their detail and clarity. - A 1940 group photo of the men who built the Chickamauga Dam and a 1924 photo of female Buster Brown mill workers in Roaring '20s attire. - Photographs from Chattanooga's turn-of-the-century Spring Festivals, which were described by one visiting journalist as having "the gorgeous pageantry of the Mardi Gras, without the objectionable debauchery." - If you're like me, you'll laugh out loud flipping through the 1958 Chattanooga High School Calendar, a pre-feminist-movement depiction of costumed girls-of-the-month that seems oddly out of joint with modern sensibilities. Since his website went live two years ago this week, Hall said DeepZoomChattanooga has recorded some 111,000 viewing sessions and 375,000 page views. He says he has worked with historical societies, libraries and folks with heirloom negative and slide collections from their attics to build the collection. Some of the more impressive photos at DeepZoomChattanooga.com are from archival scans of glass plate negatives of Chattanooga made public by the Library of Congress in 2010. "I consider photography as a time machine," Hall says. So, turn the key on DeepZoomChattanooga.com and take a ride back in time.